I'm excited and proud to support @AbolishCancer on April 1st for their #CancersNoJoke campaign again this year to help bring attention to the need for more bone marrow donors. @AbolishCancer, with the help of comedians and celebrities such as Sarah Colonna, Josh Wolf, and Fran Drescher, launches the April Fools Day #CancersNoJoke campaign which encourages individuals to register as bone marrow donors. The hope is to use comedians, on a day typically known for humor, to draw attention to a serious topic and raise awareness in the need for more donors. Each year, in the United States alone, over 10,000 people are in need of a bone marrow donor from a non-relative, yet less than half ever find a match. @AbolishCancer is proud to collaborate with 100K Cheeks,Help Remedies, and DKMS, the largest bone marrow donor center in the world, to register more potential donors. In partnering with 100K Cheeks, a Stanford-based advocacy group dedicated to increasing the number of people enrolled in the international bone marrow registry, @AbolishCancer looks to register more donors through DKMS to assist those fighting blood cancer. Through the campaign, people will be encouraged to register as a donor, which is as simple as receiving a registration kit from DKMS and a simple swab of a cheek. A second, innovative way to participate is to purchase a specially marked Help Remedies “Help I’ve Cut Myself” adhesive bandage kit. These bandage kits allow anyone interested in becoming a donor to start the registration process. Through the power of social media platforms like Twitter, comedians will encourage their followers and fans to not only become registered themselves, but to share the campaign through their social circles. 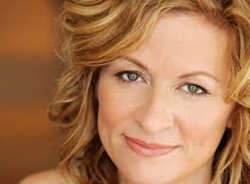 Comedian, author, and producer Sarah Colonna, a regular on the Chelsea Lately Show explains "I'm excited and proud to support @AbolishCancer on April 1st for their #CancersNoJoke campaign again this year to help bring attention to the need for more bone marrow donors. It's really easy to register as a bone marrow donor, and you might help save a life...it's a win-win!" To inspire others to get involved and share the campaign, comedians and celebrities such as Colonna, Josh Wolf, Fran Drescher, and Chris Franjola will use their “tweets” to encourage people to share the #CancersNoJoke hashtag and get more people involved as donors. You can find out more about the campaign and get up to date registry counts throughout the week, leading up to April 1st, on the @AbolishCancer web site at http://www.abolishcancer.com or their Twitter feed at @AbolishCancer. @AbolishCancer, LLC is a social media marketing company that helps support cancer fighting charities and non-profits through unique awareness campaigns on Twitter. Through partnerships with celebrities and sponsors, @AbolishCancer helps organizations not only raise funds for a cause but also greatly increase awareness through the use of social media.